How do I assign multiple workouts in one day? Got your clients on two-a-days? Not a problem! To assign multiple workouts to one day, first locate the ➕ icon at the top of that day on the calendar. 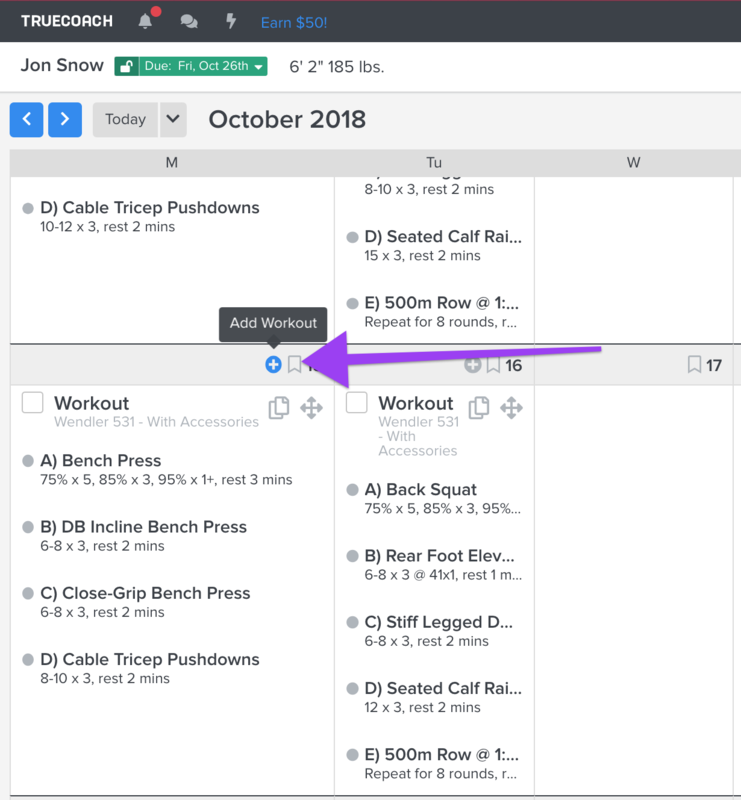 You can either paste a workout, assign workouts from a program, or write a new one!